Lion Containers (Biomass) Ltd are able to offer a wide range of Biomass stores; ‘off the shelf’ options or bespoke units. 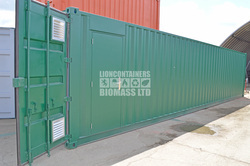 We also provide Biomass Pellet Stores. 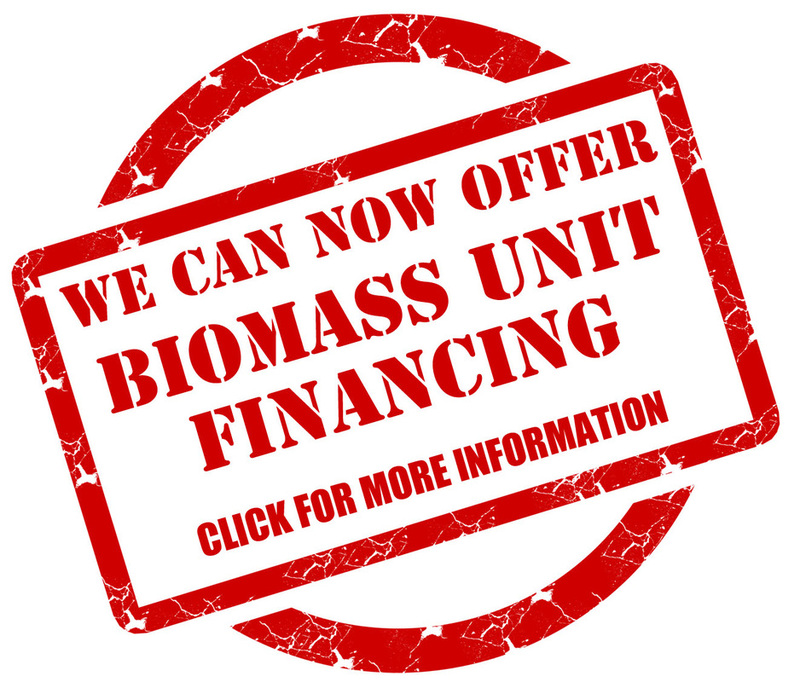 Please complete our shopping list in order to inform us of your bespoke requirements. 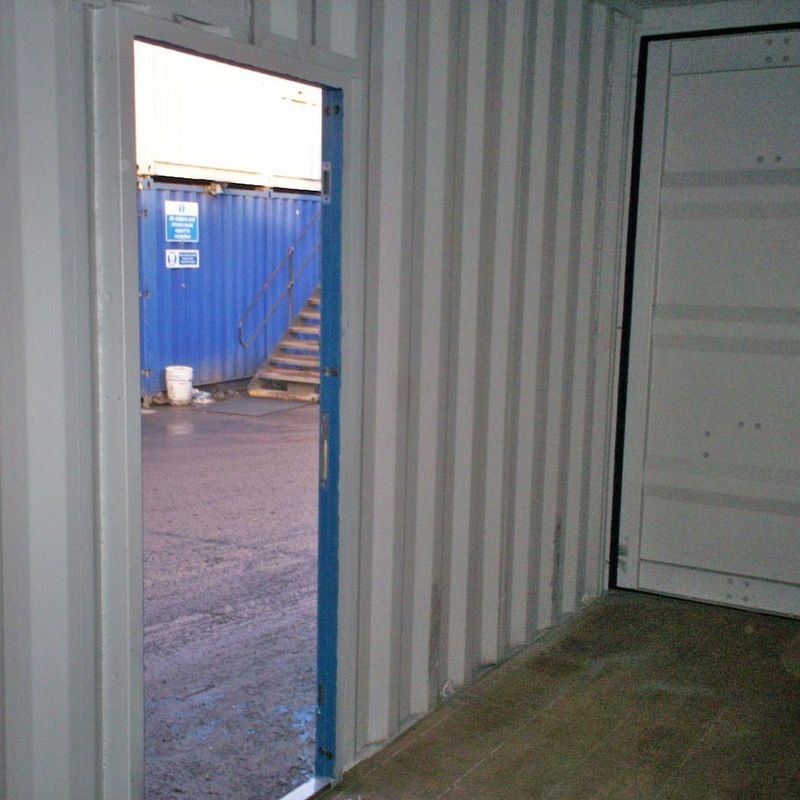 Standard sizes: 10ft, 20ft, or 40ft long x 8ft wide and 8ft 6 in high. 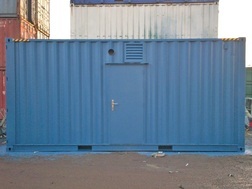 Specialised sizes: 8ft, 12ft, 16ft, 24ft, 32ft long x 8ft wide and 8ft 6 in high. High Cubes: 9ft 6in High – these are available in standard and specialised sizes. 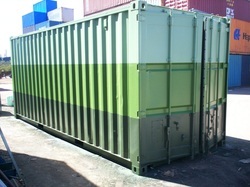 Tunnel Containers or full Open Sides. Steel personnel door supplied and fitted with external handle and 10 point locking system. 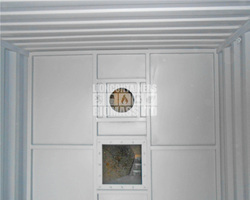 2 x 300mm x 300mm louvered vent in cargo door. 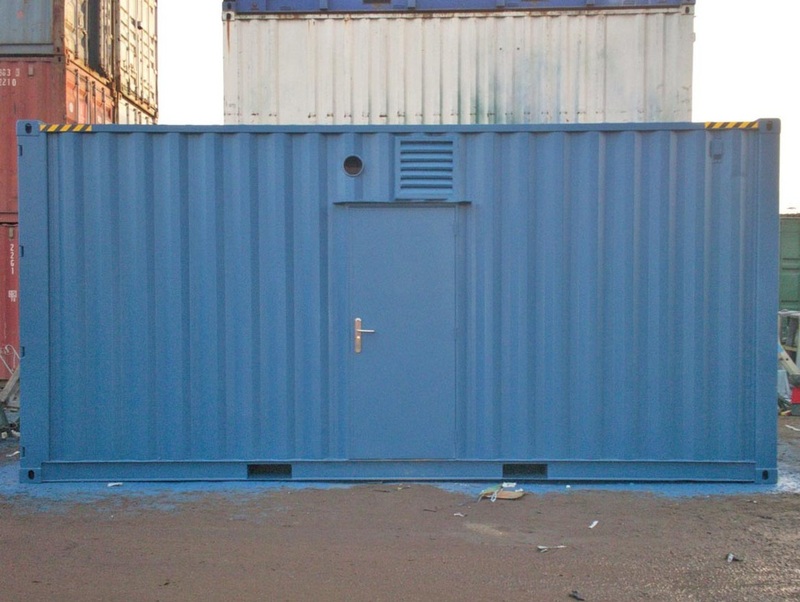 Ply lined partition with access door for personnel and access panel for pellet collector. 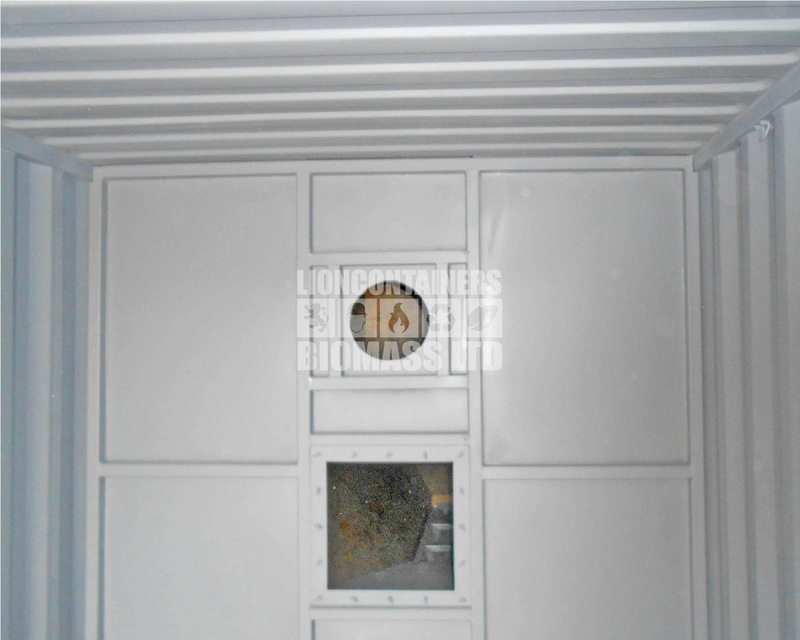 Opening / closing viewing porthole window (12inch, fully opening porthole window) above personnel hatch. 10ft pellet store area to be ply lined in 12mm ply and to include pellet collector housing to be built to house the pellet collector. 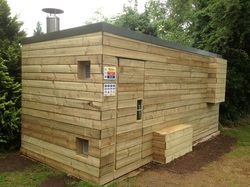 External cladding in 150mm x 25mm tanalised timber cladding (rough sawn). 2 x Access holes for pellet inlet pipes. 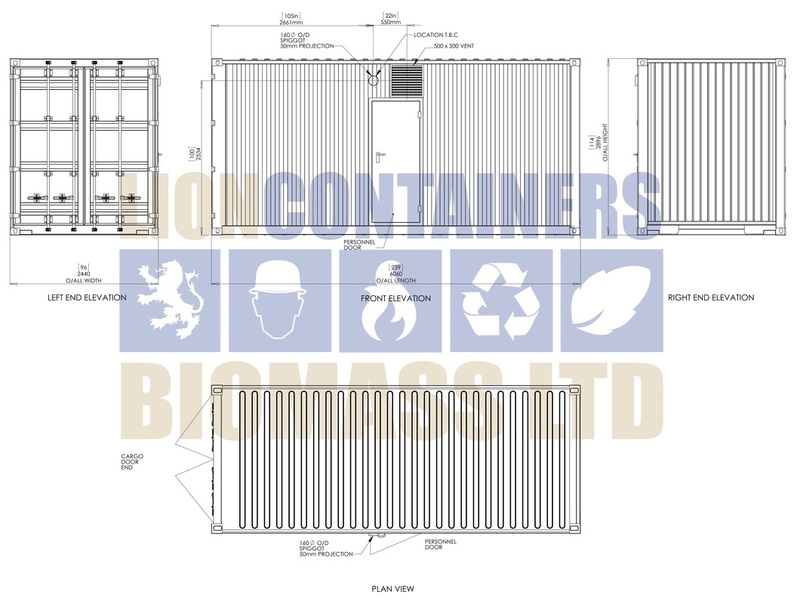 2 x Railway sleepers will be supplied with each container.